At Panache we work with a rotation system to make sure that everyone can play during the free playing hours. Check the video below for an eleborate explenation of our rotation system or read the text under the video. The board represents all of the courts at a given time. The times given on the board are the start time of a time slot. Every member gets a card with their picture on it and he or she can hang it on an open slot on the board. When the bell rings and a new time slot starts, people we were on the last time slot leave the court and new people can claim the court. A player that is currently on a court is not allowed to place their card on the next time slot before the bell rings. This is the board at 20:10, the time slot on the left board is currently active since 20:00 has passed but it is not 20:20 yet. The people A, B, C and D are currently on court 1 and the people R,S,T,V are waiting for the next time slot to start. 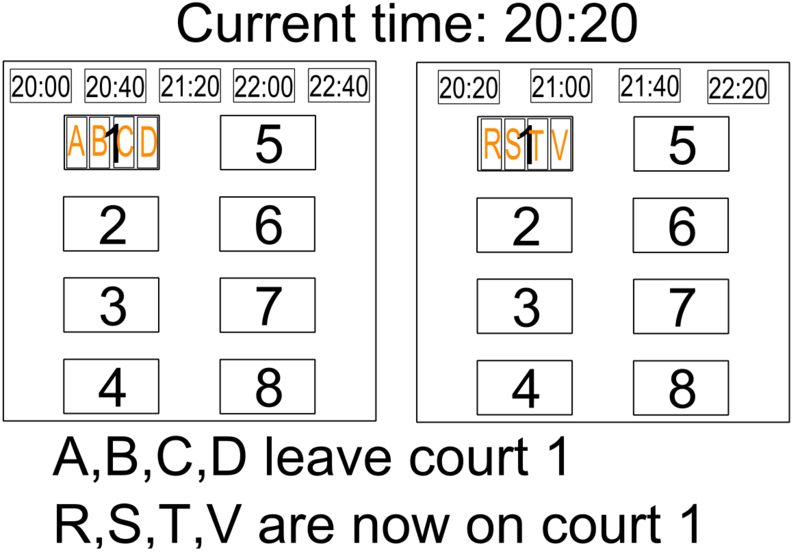 Now it is 20:20, the bells rings and A,B,C,D leave court 1. 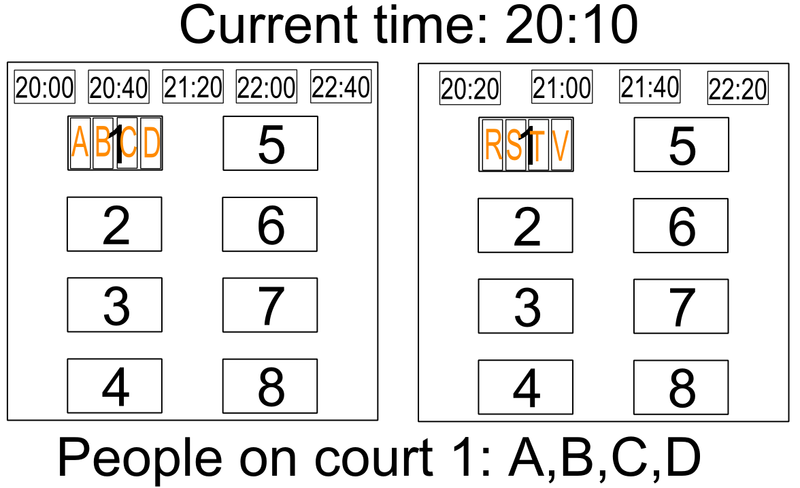 R,S,T,V enter court 1. If A,B,C,D want to play again at 20:40 they can leave their cards there, if they don’t they remove their cards from the board. 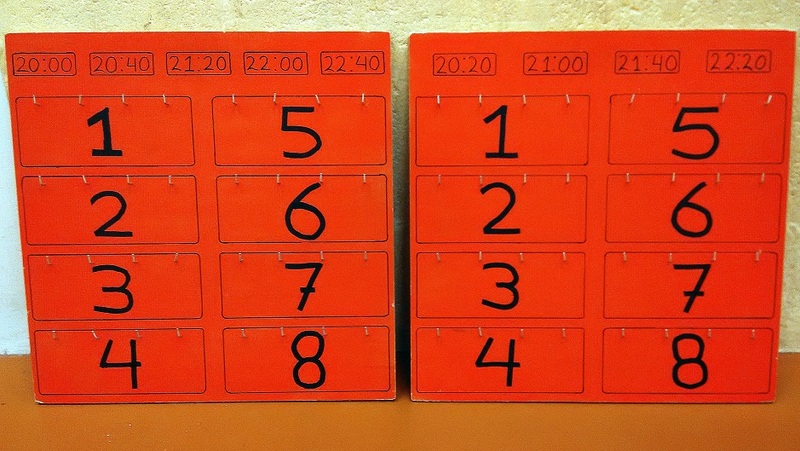 If there is an open slot at 20:20, they can hang their cards there but only after the bell has rung. Players that have had to wait to play a time slot have priority over those who have already played.